Creating backups of useful data on regular basis is a very smart approach for any iPhone user. Backups of your data can become exceptionally handy if your iPhone starts to malfunction due to one reason or another. One of the most important types of data available in your iPhone is messages. These messages may contain really important information that we cannot afford to lose. Therefore, creating backups of your messages on regular basis is inevitable. In simplest terms, the purpose of this article is to explain how to backup messages on iPhone in an effective way. The method we explain here will minimize the chances of losing your data. 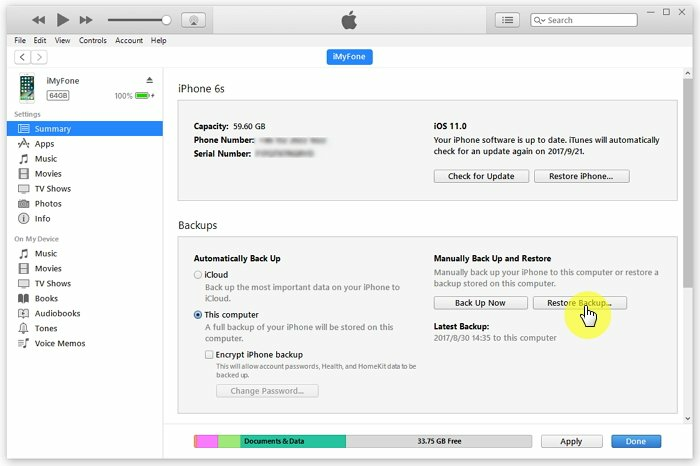 Let’s take a quick look at the situations on which you might need to backup messages on iPhone. To make the backing up process an easier one, you can seek the assistance of a professional tool. 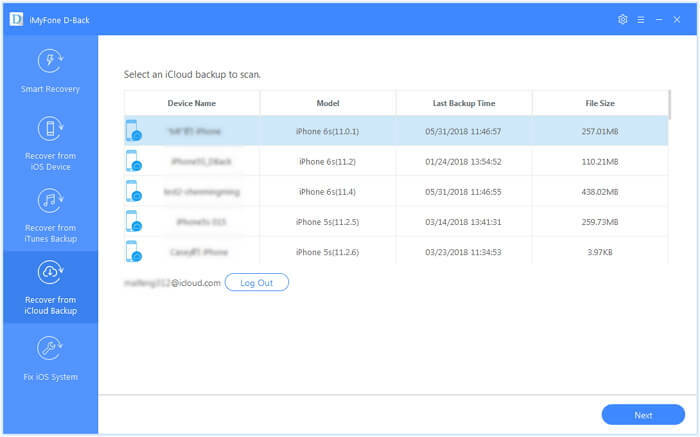 That is to say, a tool like iMyFone D-Back can help you create backups of the messages available in your iPhone without affecting your other backups. iMyFone D-Back is a really handy tool in which you can find a large range of features. This specific software lets you create backups of selective data you need. There’s no storage limit which means you can backup as much data as you want without having to delete anything or pay for additional storage. It can backup more than 18 types of data including messages from any iOS device to computer without any trouble. It can backup messages and other data selectively or fully from devices as you want. Your messages will be saved in HTML or CSV format. Here’s how to create a backup of your iPhone messages using iMyFone D-Back. 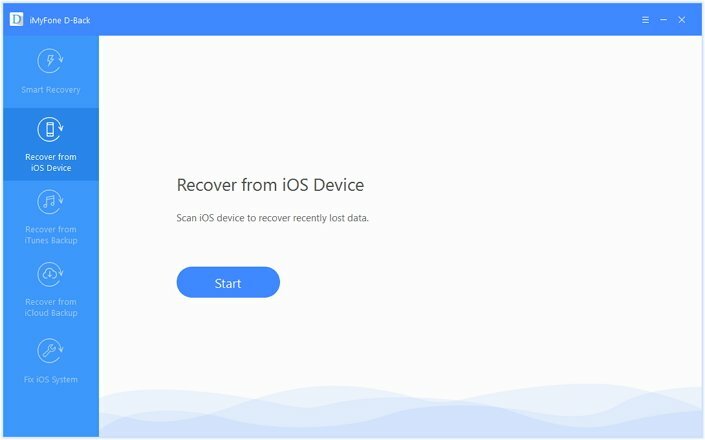 Step 1.Launch iMyFone D-Back on your computer and click on the option labeled “Recover from iOS Device”. Then, you can click on “Start” button. 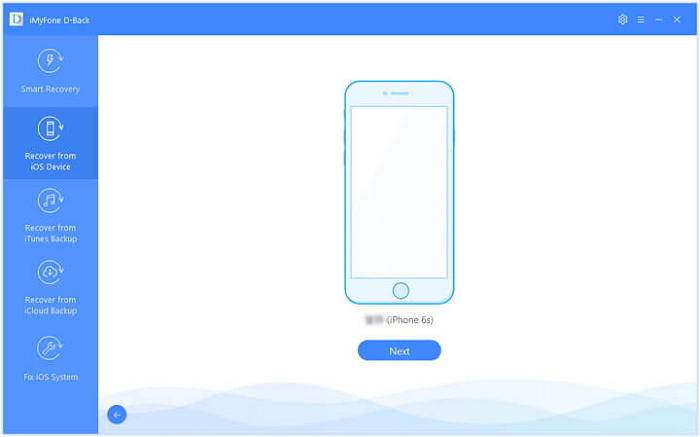 Step 2.The program will start to detect the connected iOS device. When the device is connected, you can press “Next” to proceed. Step 3.Now, you should select the type of the data you need to backup. In this case, you should select messages and press “Scan”. iMyFone D-Back will now scan the messages in your iOS device. Step 4.Once the scanning is done, you can simply see a list of messages that can be backed up. You can click on each file and preview if necessary. Select the files you need and press the button labeled “Recover”. 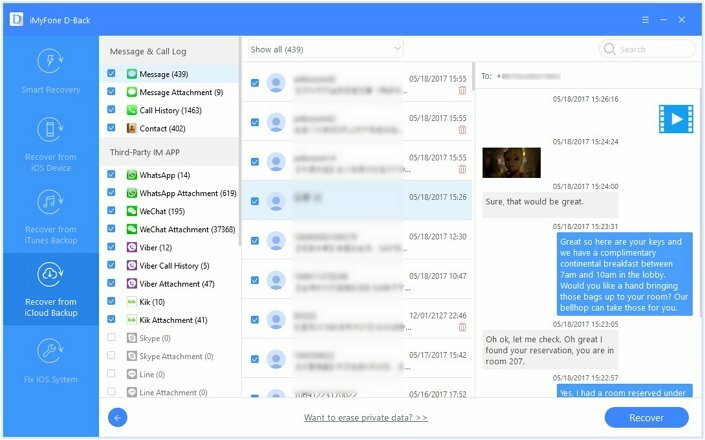 Then, you can back up messages on computer. 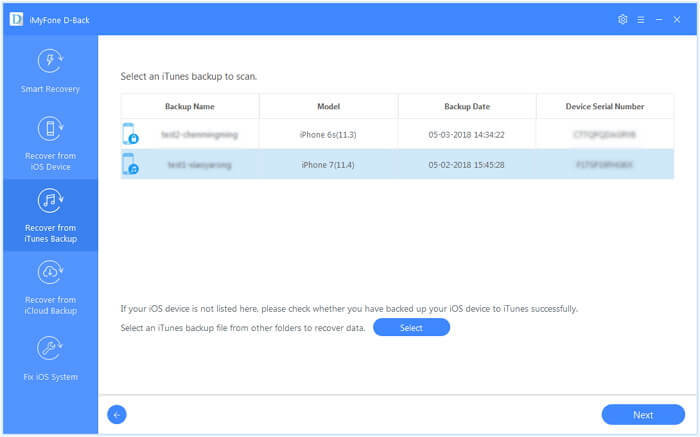 Here’s how to create a backup on iPhone using iTunes. Step 1. First of all, get your iTunes updated to the latest version. Step 2. Then, open iTunes and get the device connected to the computer. Step 3. If prompted, provide the passcode of the device or accept to trust the computer. Step 4. 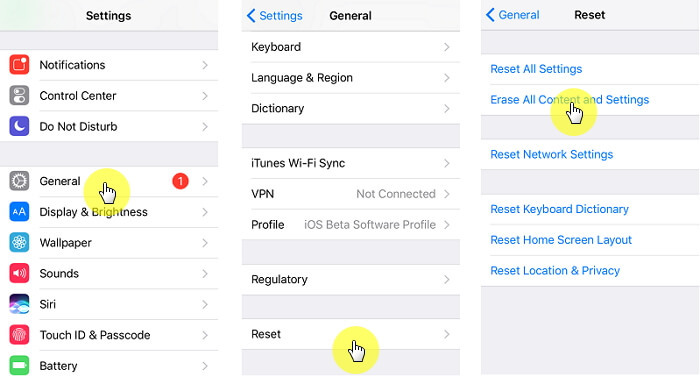 Now, you should select the iOS device as soon as it appears on iTunes. Step 5. At the completion of this process, you can find the backup you have created (under the summery screen of iTunes). All you have to do is to find the backup with most recent date and time. Make sure your device is connected to a reliable Wi-Fi network before starting the process. Step 1. Go to Settings App and find your Name. Tap on that and select iCloud. Step 2. Then, you should tap on the option Back Up Now. Step 3. Be sure that you stay connected to the network until you get the process completed. Step 4. Now, you can go to Settings App and tap on your name. Then, you can click on iCloud and select the option iCloud Backup. You will now be able to see the data and time of the backup you created recently. Here are some important things you should consider if you wonder how to backup messages on iPhone. When it comes to creating a backup on existing data, you may need to avoid files that you don’t need. However, when you back up your text messages through iTunes or iCloud, you cannot view the contents beforehand. 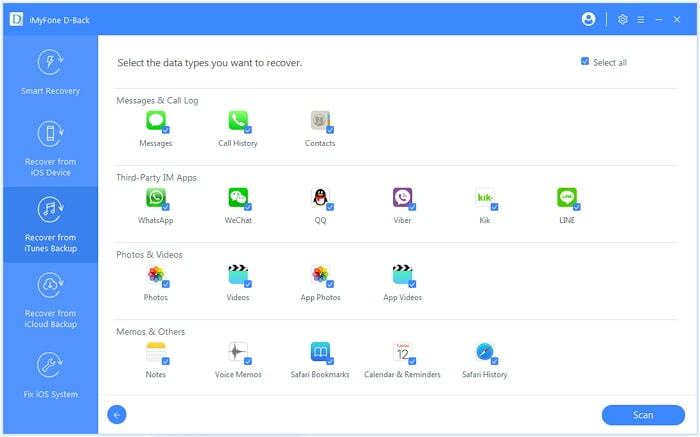 However, if you need to view messages within a backup, you can rely on iMyFone D-Back. Step 1.Select “Start” from “Recover from iTunes Backup”. Step 2.Choose the iTunes backup and click “Next”. Step 3.Select Messages and hit “Scan”. Step 4.Now, you will see a preview of the files. Step 1.Begin the process by pressing “Start” button under “Recover from iCloud Backup”. 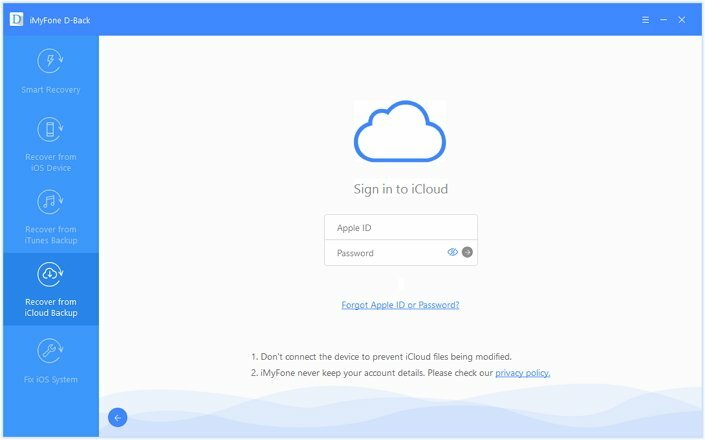 Step 2.Provide the credentials of your iCloud account. Step 3.iMyFone D-Back will search for the available backups. Select the backup file and click on “Next”. Step 4.Hit “Scan” and wait for a couple of minutes. Step 5.Once the scanning is completed, you can preview the files and choose the messages you want. We believe that this article can be useful for those who wonder how to backup messages on iPhone. If you are among one of them, just use any of the methods we have mentioned in this article. We appreciate if you can leave us a comment about what you have experienced which is important for other readers and for us.